SafeGuard Heating Services. Gas safe boiler engineers in Nottingham. We are Gas-safe registered boiler specialists and heating engineers based in Nottingham. We specialise in providing a fast and friendly service on boilers and central heating systems in all areas of the East Midlands. If your boiler needs a service to keep it running at it’s best performance, or it’s stopped working and it’s in need of diagnostic repair. We’re here to help. Trained on all leading manufactures models and with access to thousands of spares. Our engineers have your boiler back up and running as soon as possible. If you need a new boiler as a replacement for your old inefficient one. We’ve got the right one for you. With a choice of manufacturers and models available, we can supply a boiler to suit every need and budget. Our boiler installations come with 5, 7 and 10 year manufacturer warranties available. You’ll have the peace of mind knowing you won’t need to worry about repair bills for years! If you’re renovating a house or building your own home, we can design a central heating system tailored to your needs. With various options from a Combi boiler to a system boiler with a pressurised cylinder, we have the right system for you. Once complete, we’ll provide all registrations and paperwork required by your local building control. 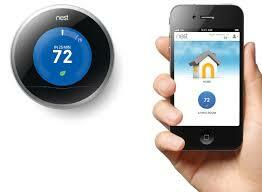 Ask us about NEST intelligent heating controls that you can control from your smartphone. These controls can monitor your usage. They learn what temperature you need to feel comfortable and respond by adjusting the heating systems output. They even check if you are at home so your heating doesn’t come on to just heat an empty house. Their job is to keep you comfortable while saving you money! Should you require our services or want a free quotation, please click on our contact page and feel free to get in touch.